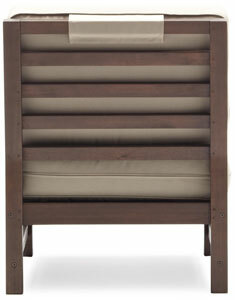 Hardwood armless chair adds comfort and style to outdoor living spaces. View larger. 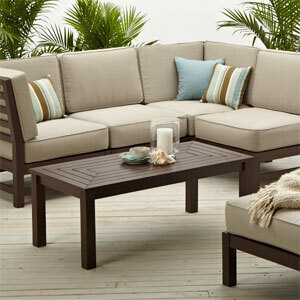 Coordinates beautifully with other Anderson sectional pieces (sold separately). View larger. Stone-colored fabric cushions with Velcro attachments. View larger. 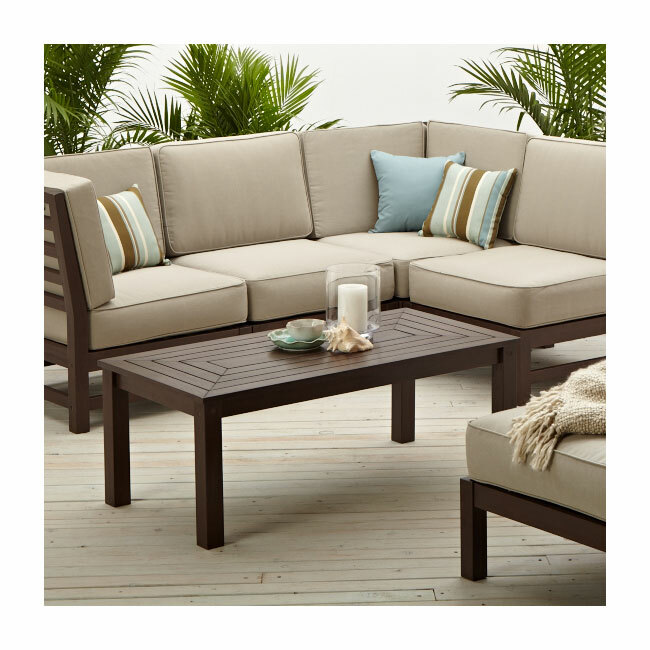 Perfect for relaxing and entertaining, the Strathwood Anderson sectional collection features handsome furniture with superb weather resistance and maintenance-free care, making it ideal for outdoor use. 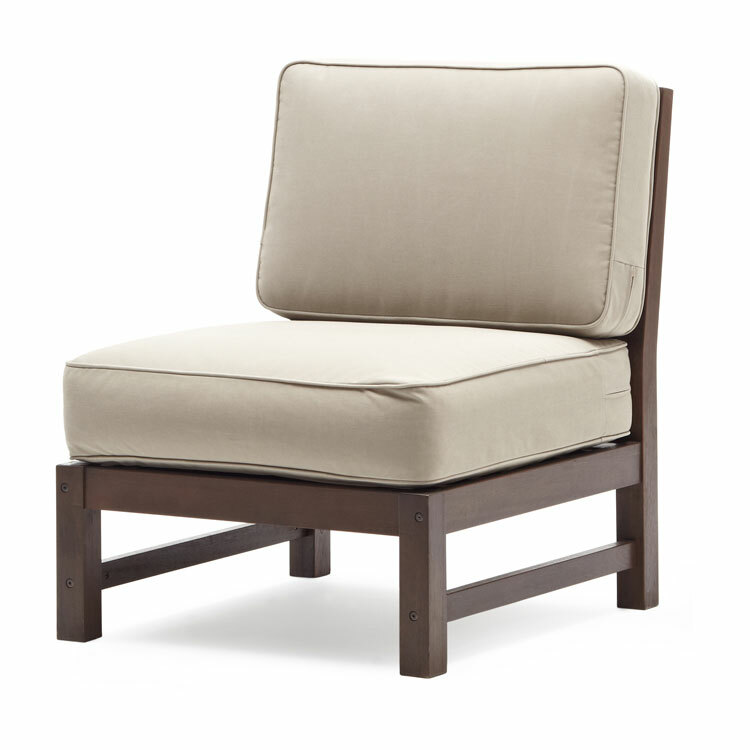 As part of the Anderson collection, this contemporary armless chair infuses comfort and convenience into any outdoor living space. Whether placed poolside or on a front porch or back patio, the chair adds welcoming charm when gathering with family, entertaining friends, or simply sipping wine and star gazing on warm summer evenings. 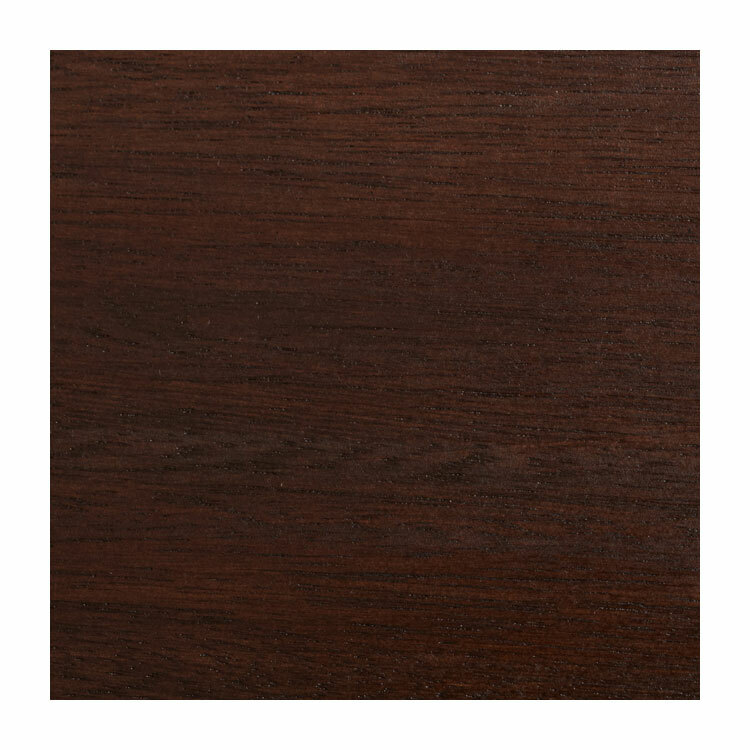 Crafted from solid eucalyptus with a dark-brown stain, the contemporary chair sports clean lines and square post legs for stability and modern flair. A seat cushion and back cushion are included. The cushions feature stone-colored fabric made from 100% polyester and come equipped with Velcro attachments to keep the cushions securely fastened to the chair. 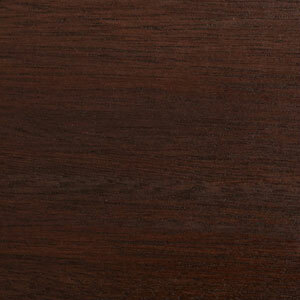 Even more, the armless chair coordinates beautifully with other Strathwood Anderson hardwood sectional pieces (sold separately), as well as Strathwood's Redonda collection thanks to the same dark-brown stain being used on both. 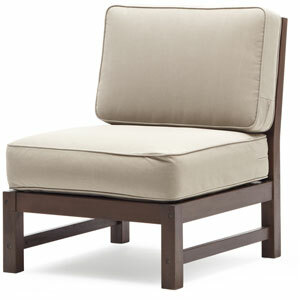 Overall, the chair measures 32 inches long by 27.5 inches wide by 34 inches high and weighs 21.6 pounds. Some assembly is required. Cushion Care and Cleaning: Gently brush off dirt before it becomes embedded in the fabric and wipe up any spills as soon as they occur. Gently spot clean only with mild soap and cool water using a sponge or soft brush, then air dry the cushion in a sunny location. 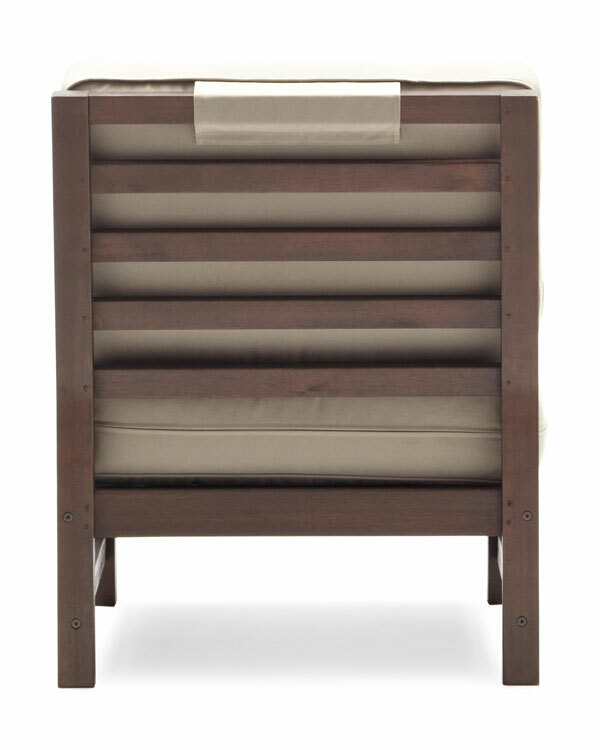 Both the chair and the cushions should be brought indoors or securely covered during inclement weather and stored in a dry place when not in use.